Exercise not only makes you look leaner and feel better, it can also make you live longer. New research has found that walking for two minutes every hour, when you’d normally just be sitting down, reduces the risk of dying by a third. So instead of fast forwarding the ad breaks on TV or being chained to your desk for hours on end, get up every 60 minutes and have a quick move about. The findings have been published in the Clinical Journal of the American Society of Nephrology, and found that people suffering from chronic kidney disease benefit even more. The study found that these people’s death risk was lowered by 41 per cent. And the good news is you don’t have to complete a sprint in those two minutes. While researchers from the University of Utah found standing instead of sitting had no impact, a casual walk or even some housework was beneficial. Statistical techniques to examine the effect of 'trading off' sitting behaviour for different levels of activity was used to determine the results. Data from 3,243 participants from US health study the National Health and Nutrition Examination Survey was analysed. Those taking part wore movement-sensing devices to measure activity levels. "It was fascinating to see the results because the current national focus is on moderate or vigorous activity. To see that light activity had an association with lower mortality is intriguing,” lead scientist Professor Srinivasan Beddhu said. 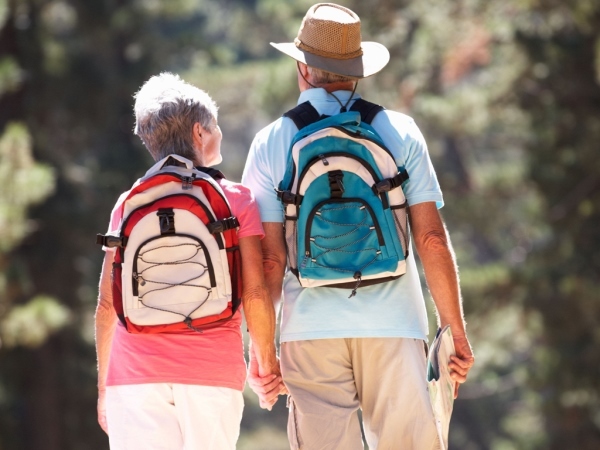 “Based on these results we would recommend adding two minutes of walking each hour in combination with normal activities, which should include two-and-a-half hours of moderate exercise each week." More vigorous exercise is needed to sustain a healthy life, especially to strengthen the heart, muscles and bones, alongside walking. “Exercise is great, but the reality is that the practical amount of vigorous exercise that can be achieved is limited. Our study suggests that even small changes can have a big impact,” co-author Dr Tom Greene added.